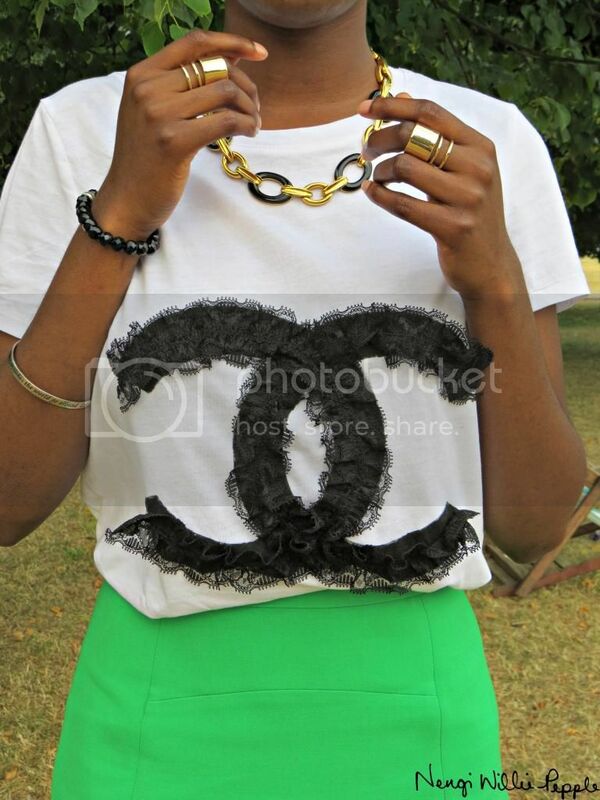 I wore my Chanel inspired tee, which was inspired by lovely blogger Natasha Ndlovu. It was so easy to make and it looks super cute on! 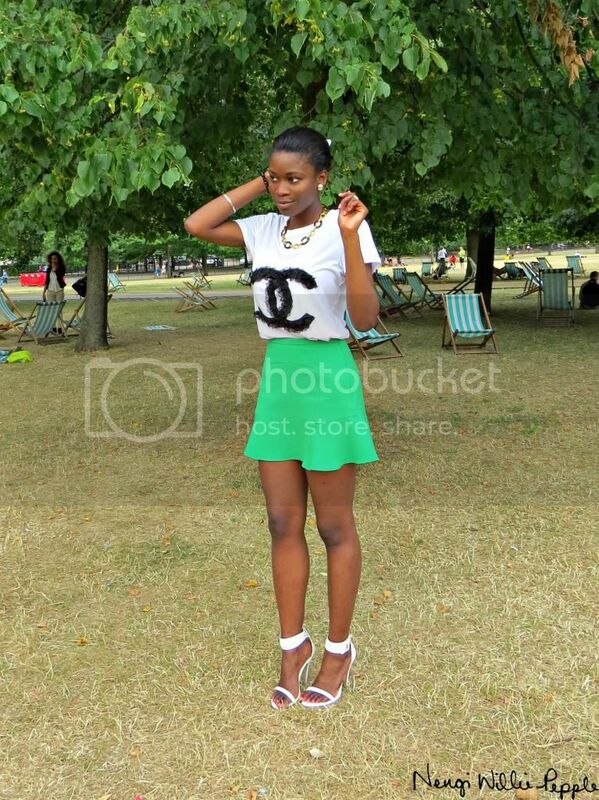 I decided to pair the tee with this simple green skirt and heels, for a smart casual look.